Congress has a long To Do list for the beleaguered Secret Service. The top members of the House Judiciary Committee, the group that has jurisdiction over how the federal agency runs, sent a letter chock-full of questions to acting Secret Service Director Joseph Clancy on Thursday. Clancy took over the Secret Service last week, when Julia Pierson resigned following a heated congressional hearing on White House security breaches that left lawmakers frustrated with Pierson's testimony. In the letter, committee Chairman Bob Goodlatte, R-Va., ranking member John Conyers, D-Mich., and Reps. Jim Sensenbrenner, R-Wis., and Bobby Scott, D-Va., express concern about the Secret Service's "policies, procedures and judgment." 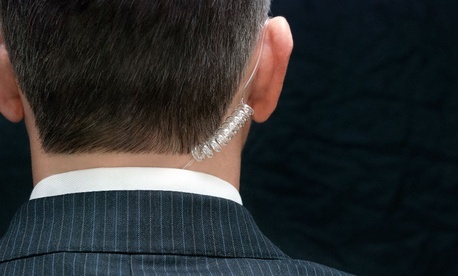 The committee plans to hold public and classified hearings on the Secret Service in November. A detailed timeline of the events of Sept. 19, the day Omar Gonzalez, a 42-year-old military veteran from Texas, jumped the fence of the White House. Why the Secret Service initially reported that Gonzalez was stopped just inside the White House, when he actually made it much farther, into the East Room. Whether officers followed protocol in the way they apprehended Gonzalez. Lawmakers and citizens alike have said that he was stopped too late. How the Secret Service and the Homeland Security Department are reviewing their procedures for securing the White House, and when that review will be completed. If the Service plans to review the White House building itself for any security risks. Why the front doors of the White House were unlocked on a Friday night. What happened—and how officers acted—on Sept. 16, the day an armed contractor with a criminal background rode the elevator with President Obama during a visit to the Centers for Disease Control and Prevention headquarters in Atlanta. And how the Secret Service is going to "promote a culture of openness and accountability at all levels of the agency." In recent weeks, the elite agency has been criticized for both its lax approach to security flaws and an atmosphere that keeps some employees from reporting concerns. The recent series of security breaches are a focus of bipartisan anger. While some lawmakers have been more adamant than others about the need to use force to stop potential threats—like people jumping over the White House fence—most agree that something inside the Secret Service is not working right now.